US, UK, Australia, Canada, Germany, France order Free Shipping for orders over $100. Other Countries, Click here. We can not deliver orders to P.O. Box or APO/FPO address. 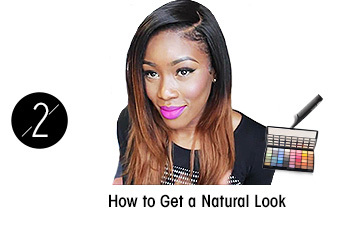 You want to match the lace color with your scalp color NOT your skin tone. 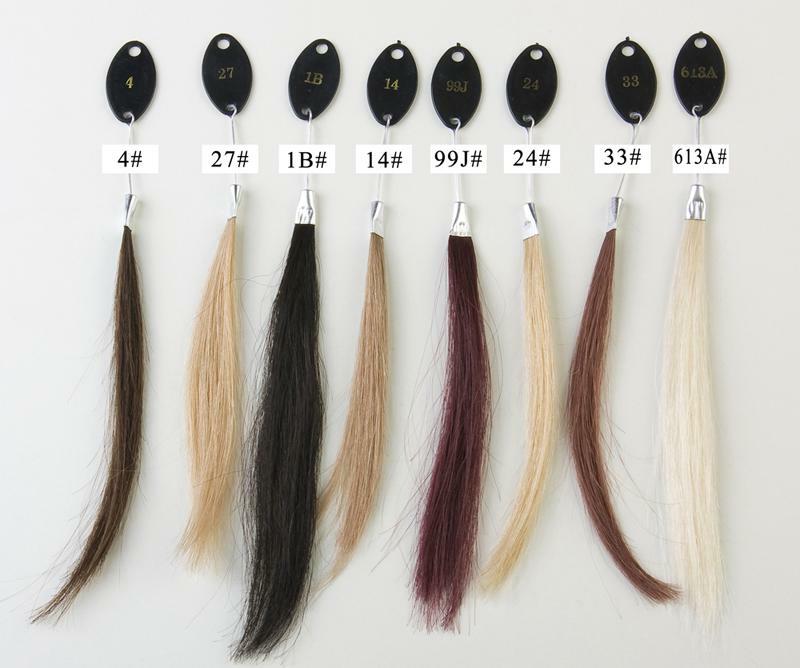 This is because when you part the unit, you want it to appear as your natural scalp color. 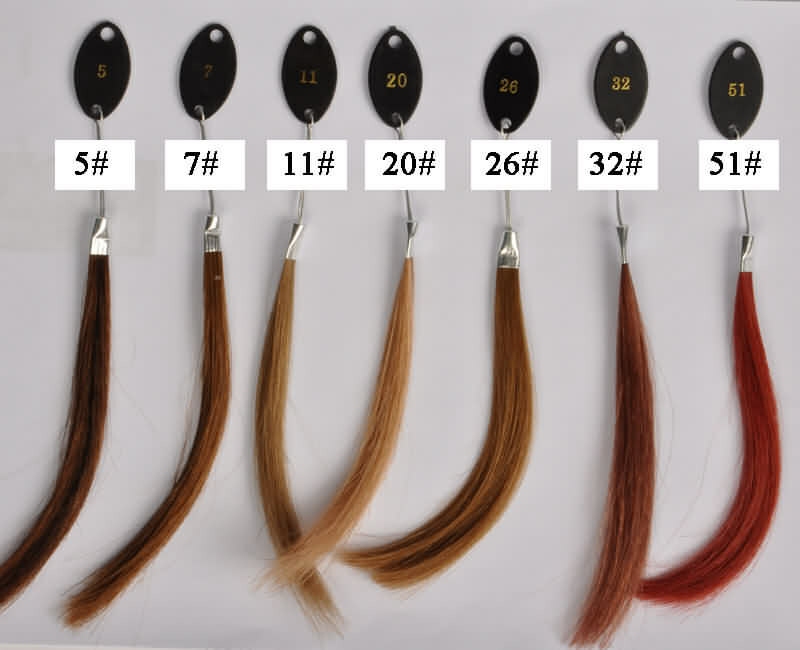 So to check your scalp color part your hair and look at the color of your scalp to determine your lace color. 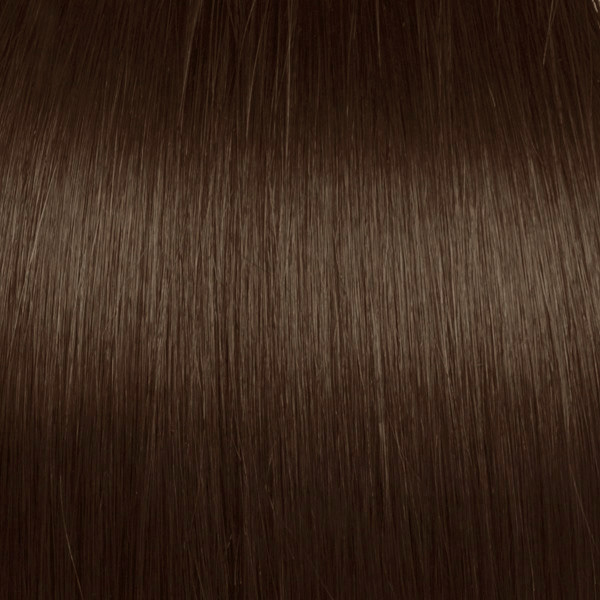 Light Brown and Medium Brown: For Light Beige or Beige scalp tones. 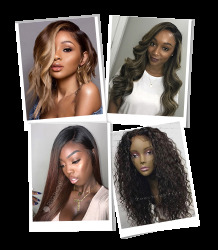 We recommend light brown for most customers as it is suitable for a range of skin tones from light to more dark/deeper skin tones. 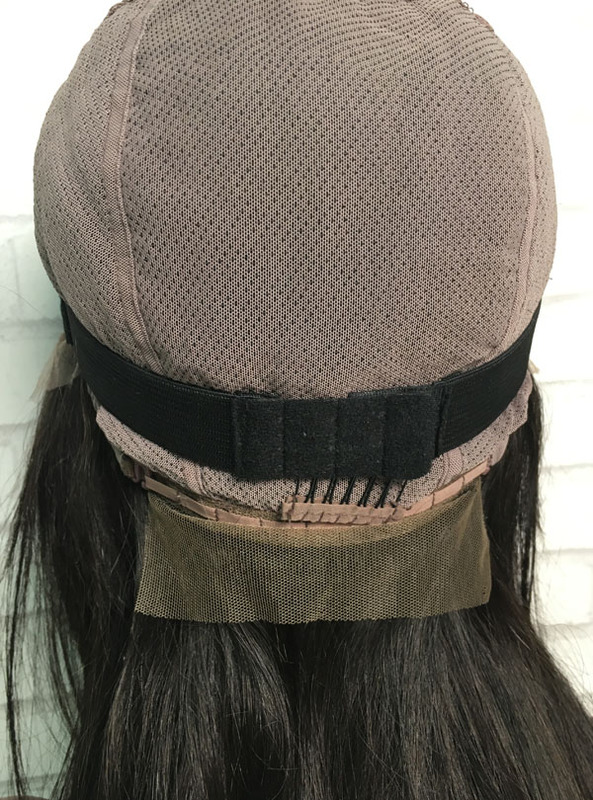 This lace cap is convenient for wearing and securing for application without glue (or with a little glue) so as to be very suitable for customers who are allergic to glue. 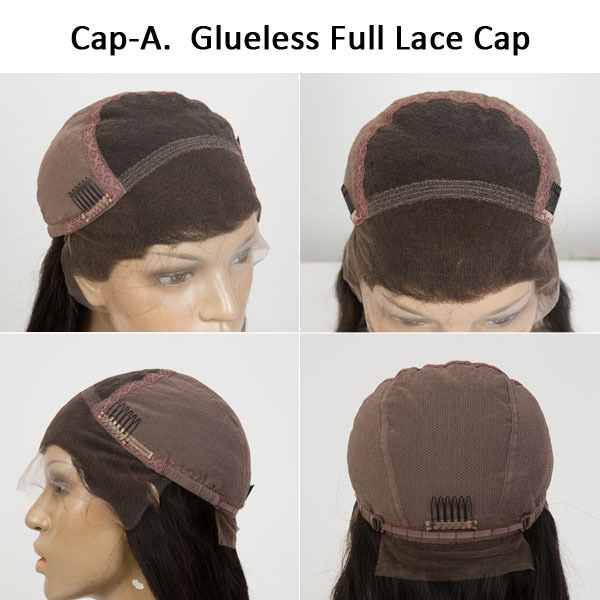 Glue-less cap is user friendly because come ready to wear and more versatile. 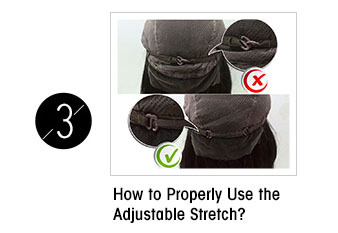 Besides, it does not require the use of adhesive (glue) while wearing. 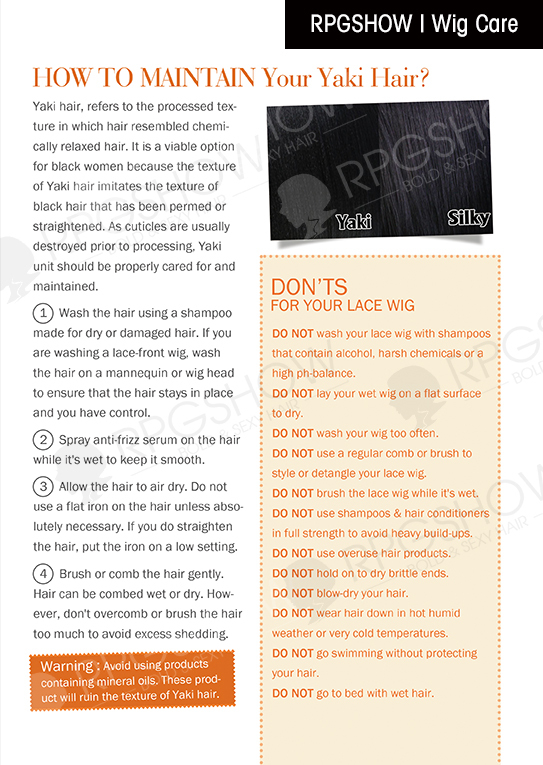 As the glueless lace wigs are secured by combs/pins, so it is more easier to slip over and slide away. 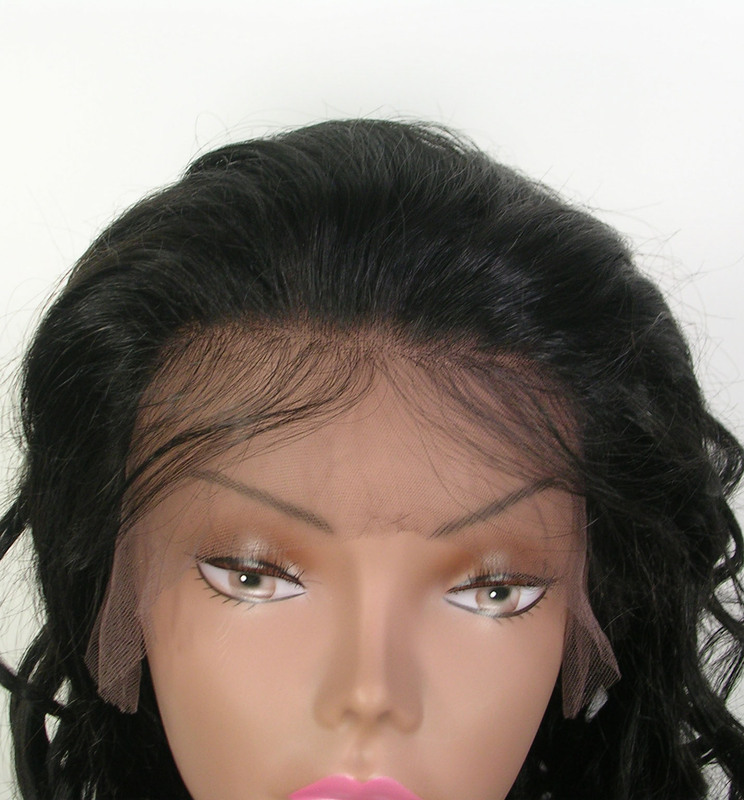 6" lace in front and machine weft at back, in front is handmade. Very natural hairline in front. 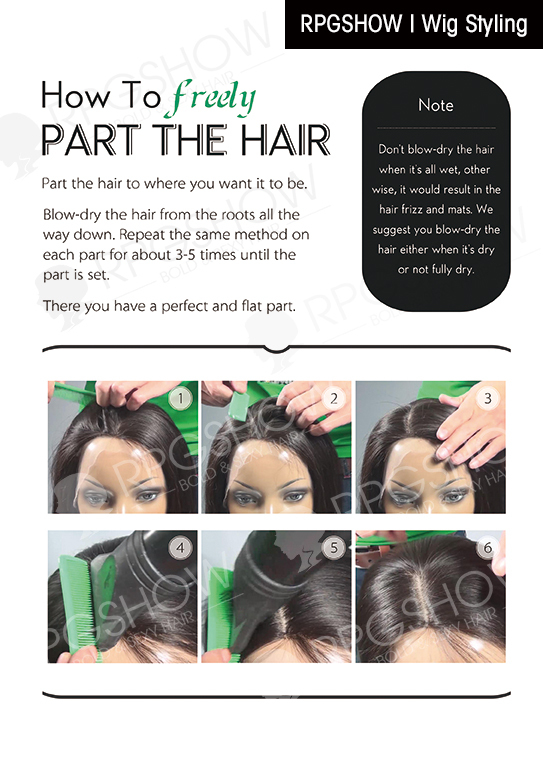 No need to adhere the nape of the wig (you only glue it down from ear to ear), A great option for beginners. 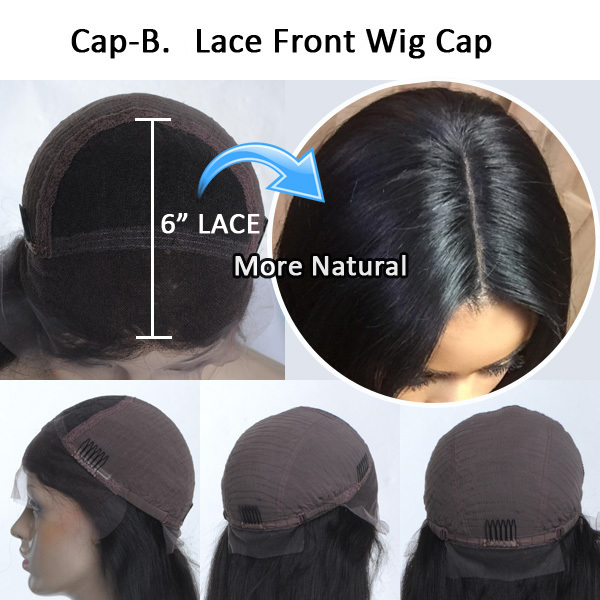 High ponytail is not available with this cap, and you can only part it as far as the lace panel extends. 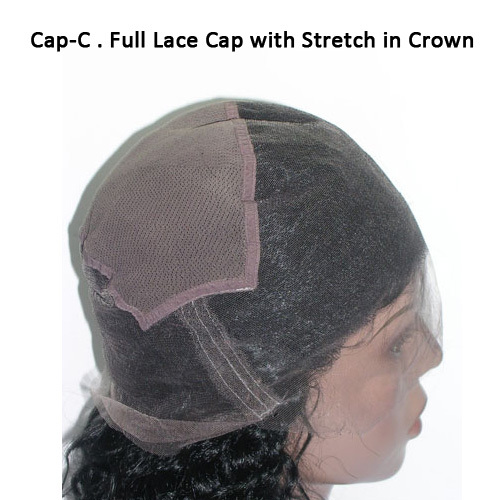 Full lace cap with stretch in crown can be adjusted in crown. 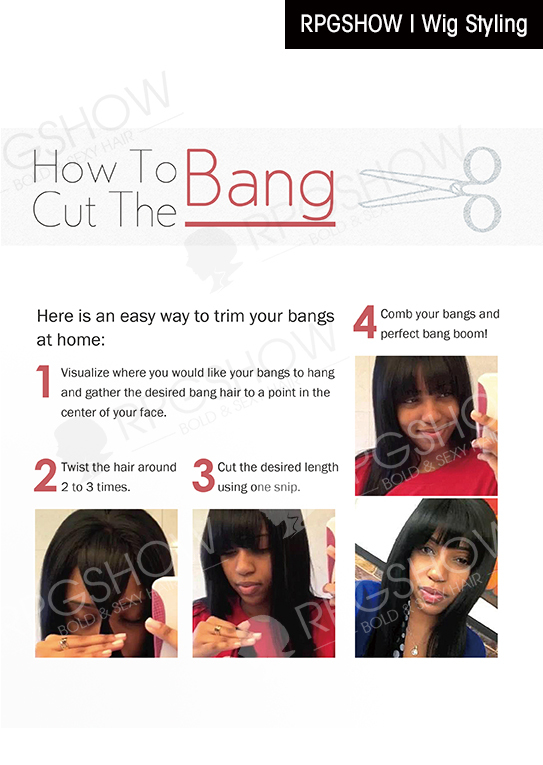 Great for beginners who are unsure of their measurements! 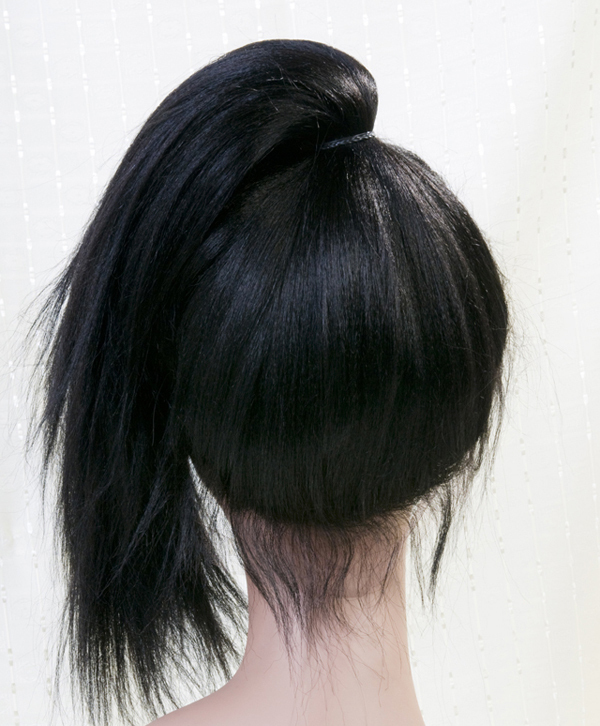 Hair can be worn up in a high ponytail. Needs to be glued down. 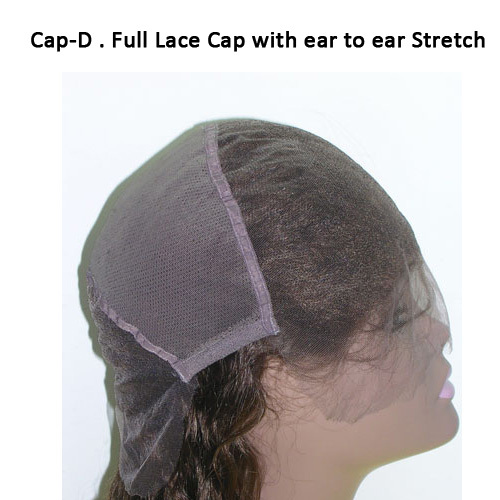 Full lace cap with ear to ear stretch can be adjusted in Circumference. Great for beginners who are unsure of their measurements! 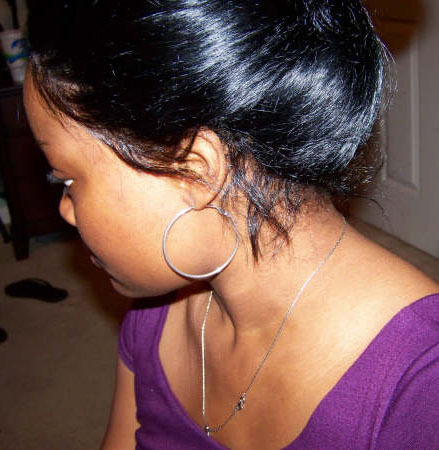 Wearing the hair up in the areas above the ear may be a problem. Needs to be glued down. 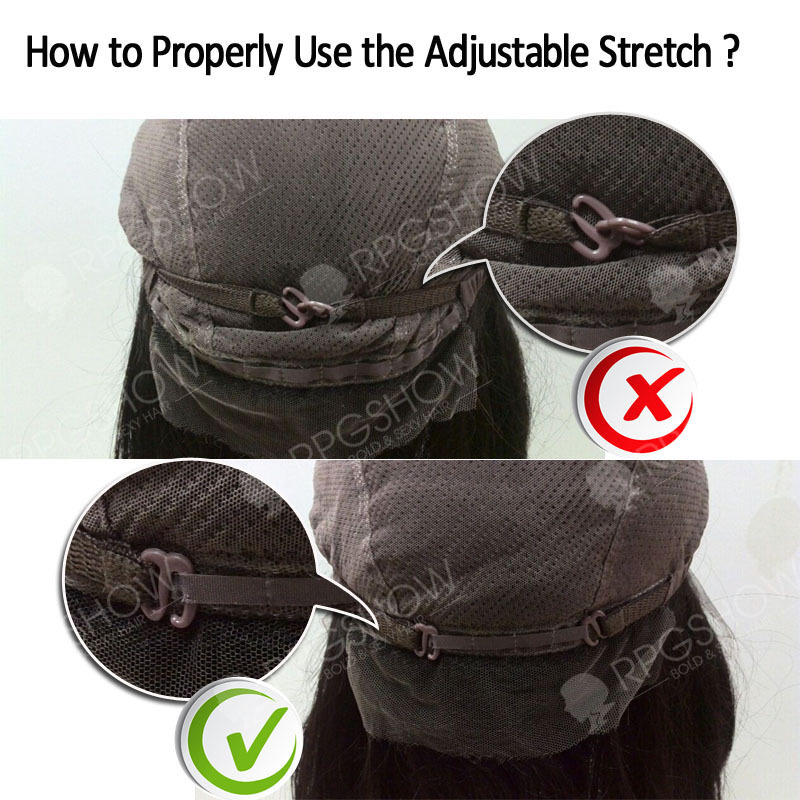 This cap style doesn't have stretch. 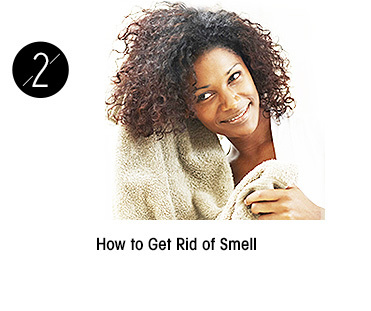 It can be used by women with no or scarce hair. 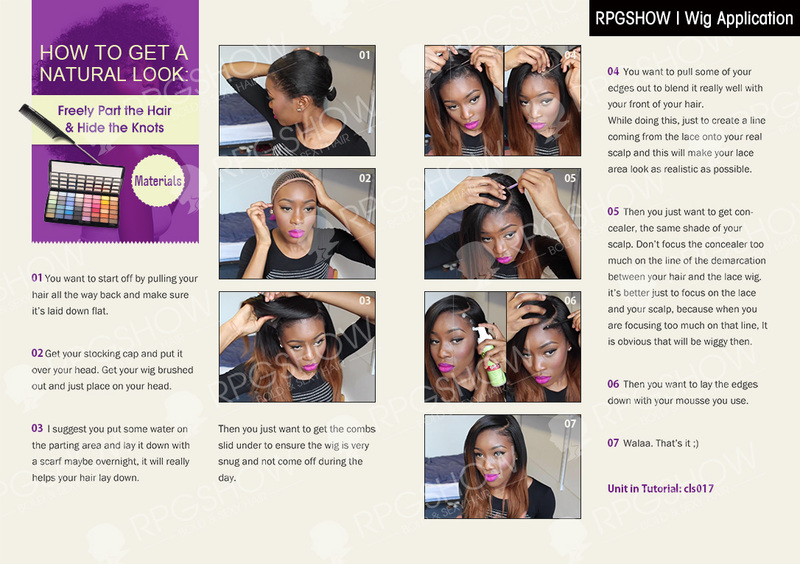 This cap style has lace all around the perimeter and allows you to wear your hair in updos and high ponytails. 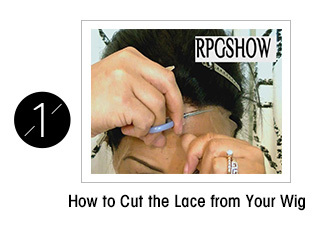 And when glued down, it will give you a natural hairline all around the perimeter. It can be parted anywhere throughout the unit. 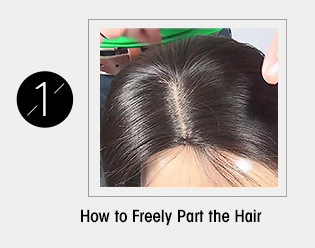 Allows for styles that require the hair to be free parted. 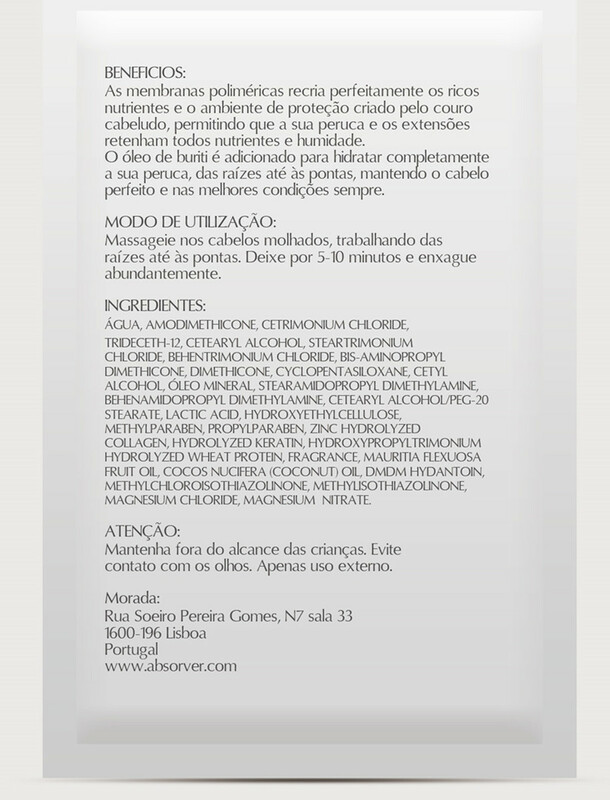 This cap is not recommended for beginners who are unsure of their measurements. Needs to be glued down. 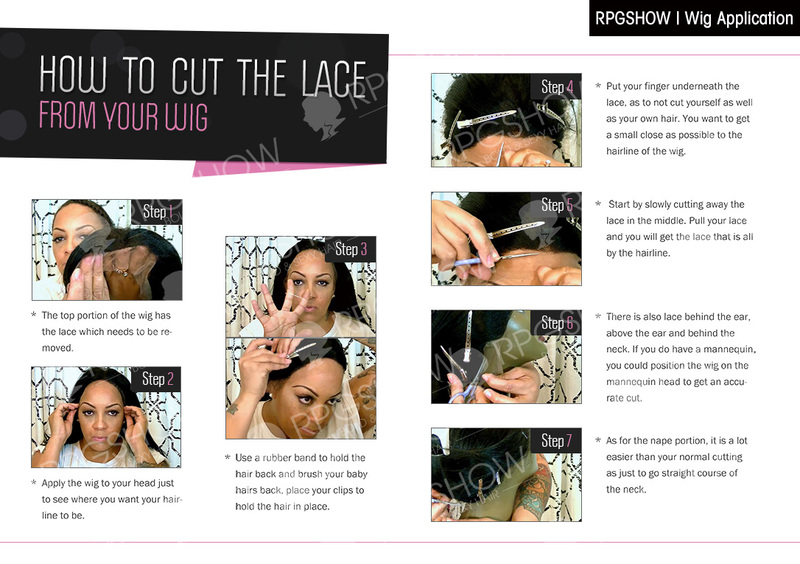 If you order a stock lace wig, you only can choose size-1 or size-2 for the cap size. Actually, you can compare your own measurements with our standard size of size-1 and size-2 to see which one is fit you very well. 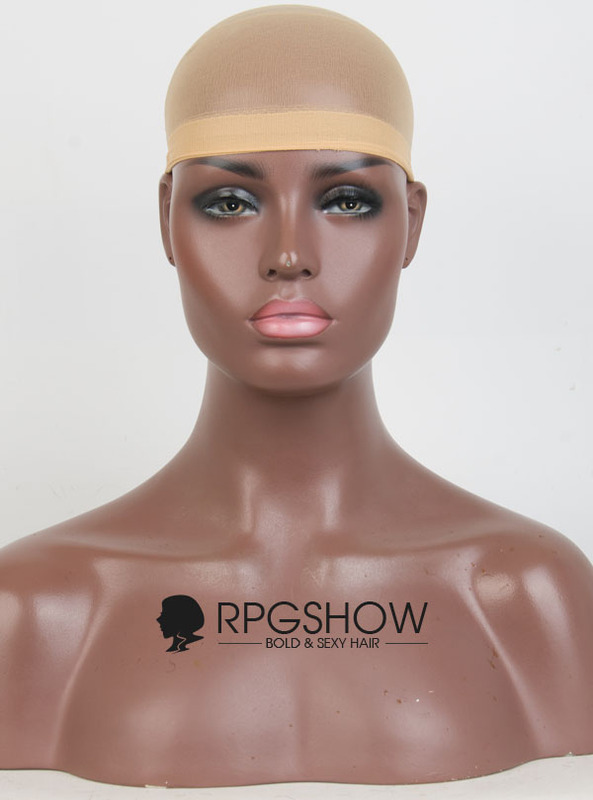 Of course, if your head size is a little bigger than size-2 or smaller than size-1, we recommend that you can leave this page, go to the new page of our custom wigs! 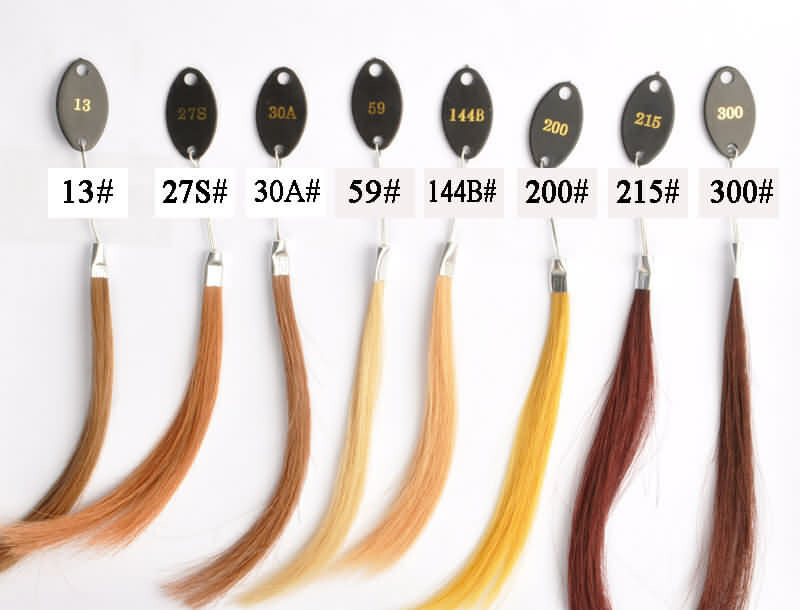 If you can’t make sure which one suits you when compare, please contact us freely to ask for help! You should take your measurements carefully. 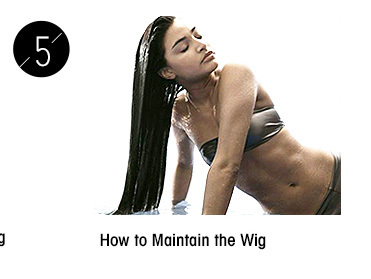 Before you start, pin hair as flat and tight as possible before taking the measurements. 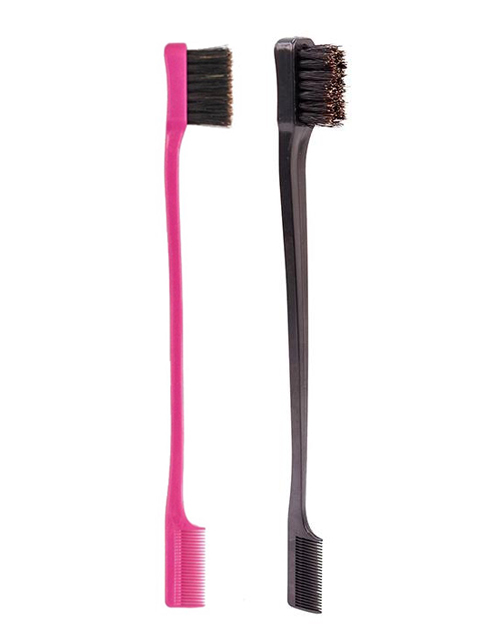 This will eliminate bulges that distort head contours. 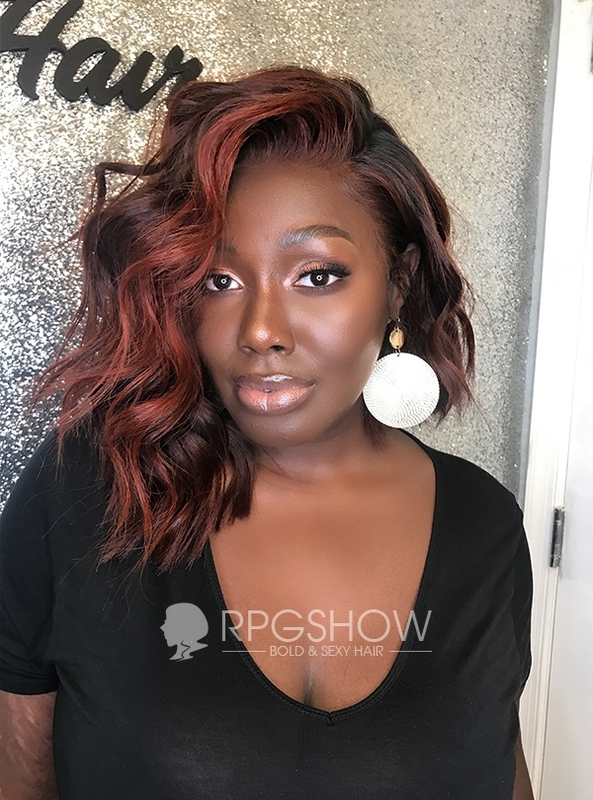 Yaki texture is process we do to your wig that adds a micro kink to the hair strands to mimic Africa-American people relaxed hair. 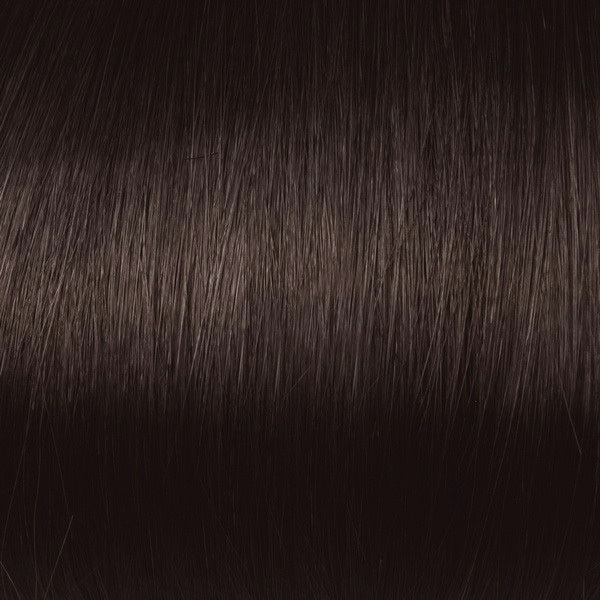 The silky straight hair texture is the natural state of the Indian Hair as it comes from the donor. 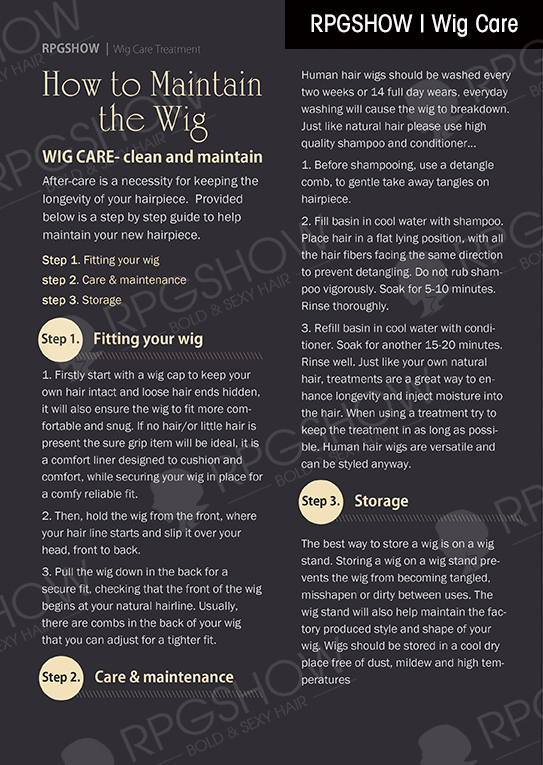 It is look like the wig of ofay. 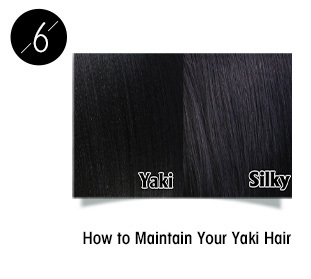 If you are Caucasian, we recommend you choose silky texture. 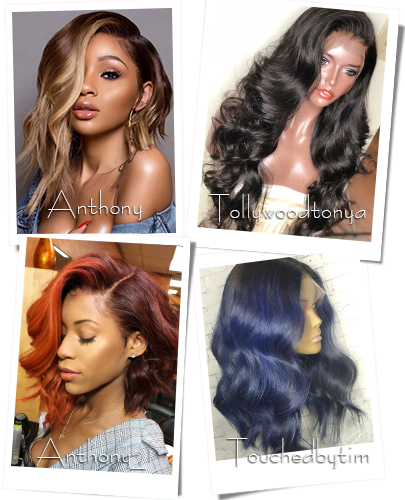 Indian Remy Hair is collected directly from Indian hair donor and Chinese Remy Hair is collected directly from Chinese hair donor. 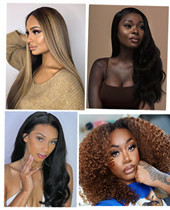 Indian hair is currently the best hair on the market for wigs and weaves. It comes in different textures. 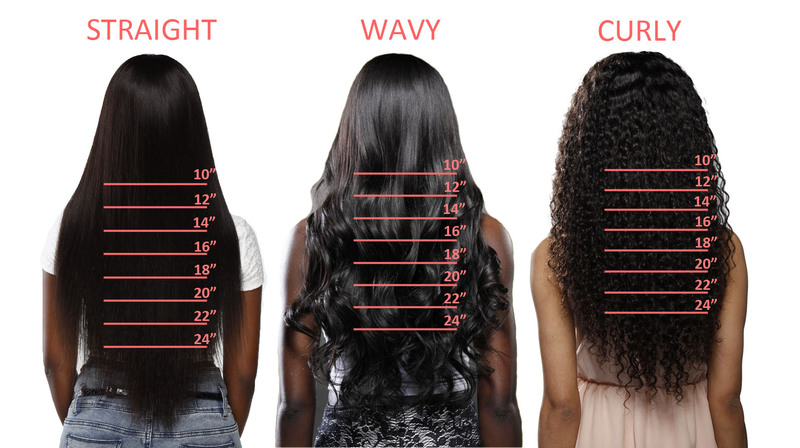 These include straight, curly and wavy. 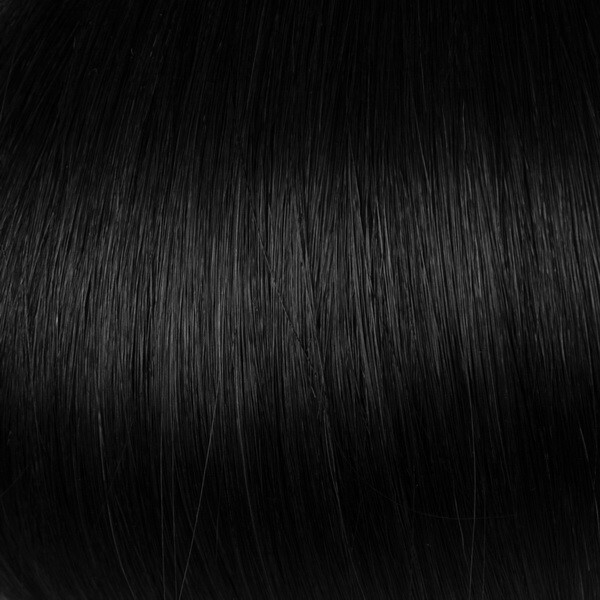 The Indian hair is recommended for everyone. 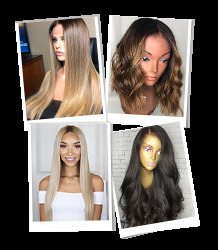 We recommend you choose Chinese Remy hair if you want a very straight wig, that is naturally shiny, and is slightly more course. A Widow's peak is M shaped hairline or Pointed Hairline. For this, your front hairlines make the shape of M or come down in point above forehead. A natural hairline is a straight hairline. 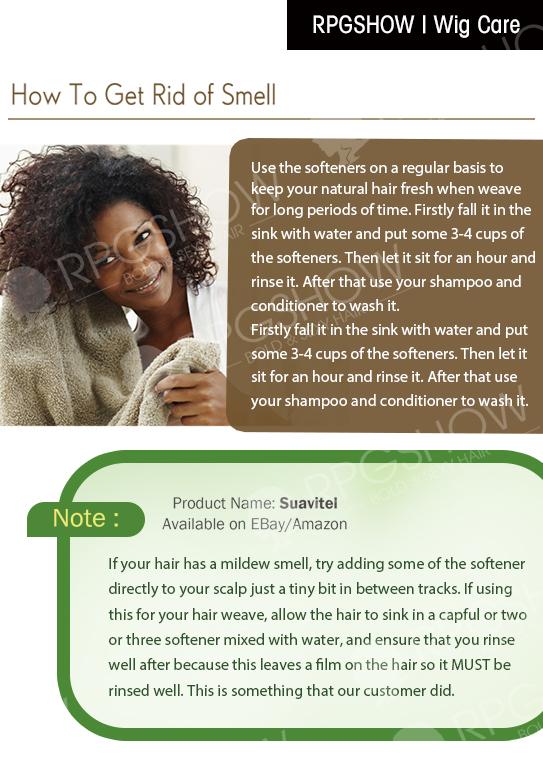 For this, the hair is growing out of scalp straightly above forehead. 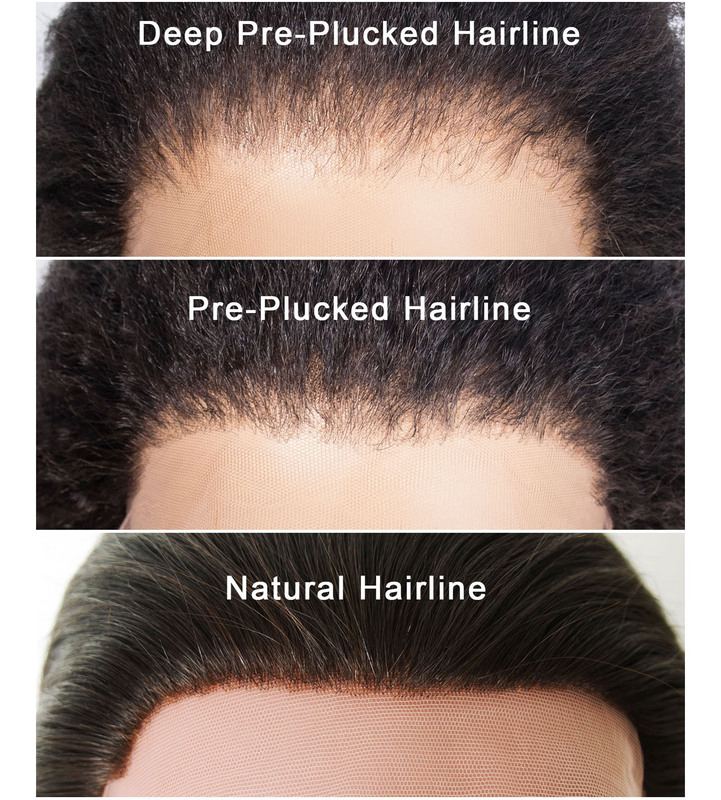 In order to make the hairline to get a much natural looking, we have plucked the hairline. 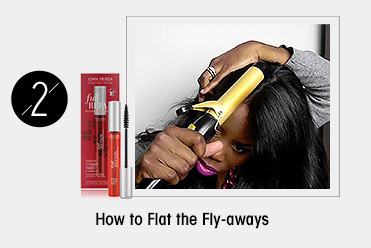 You needn’t do too much extra work on the hairline. 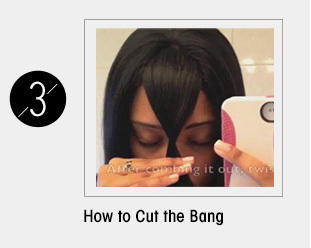 Because the hairline will just look like your own. See pictures difference below. What is a Silk Top ? 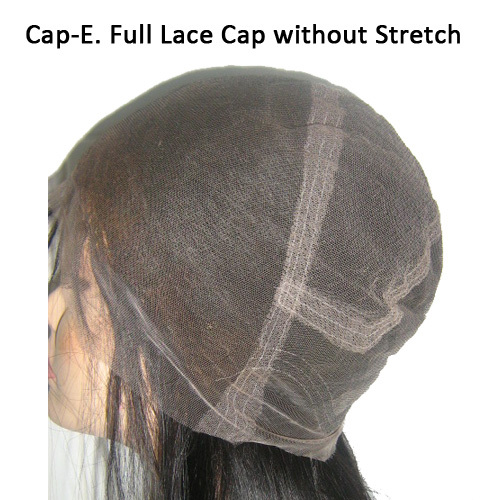 There is a layer lace which is made of silk fabric on the top front of the cap. 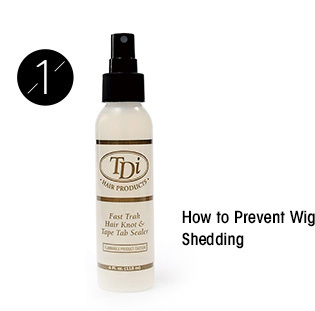 When the hair is knotted, it will be concealed between the layers. It's hard to notice the knots it will give you the nice feeling that it seems like the hair is actually growing out of your scalp,the knots are 100% invisible. You wont find any other ventilation technique that creates a more flawless appearance than hidden knots on a silk top.no bleach konts at all. 1. The Silk top material is approximately 4 by 4 inch of silk material on the crown area. 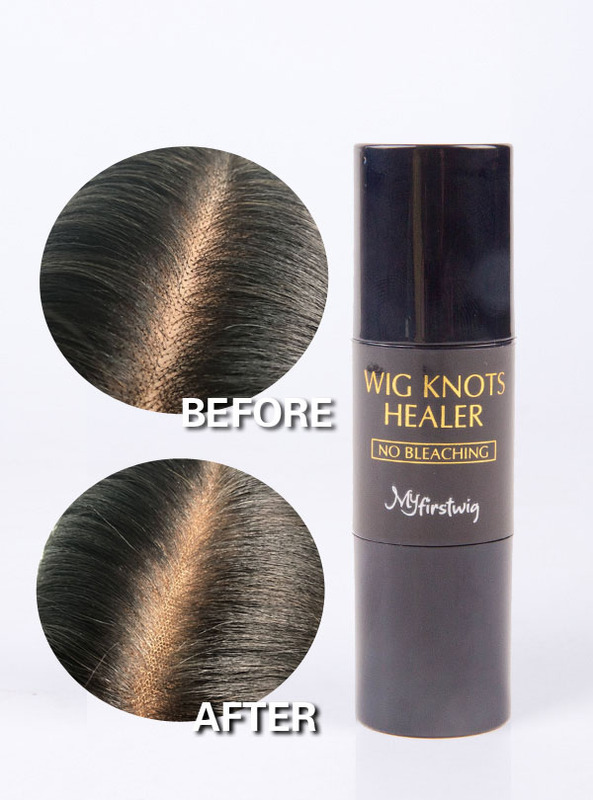 The silk material does not cover the entire wig. 2. 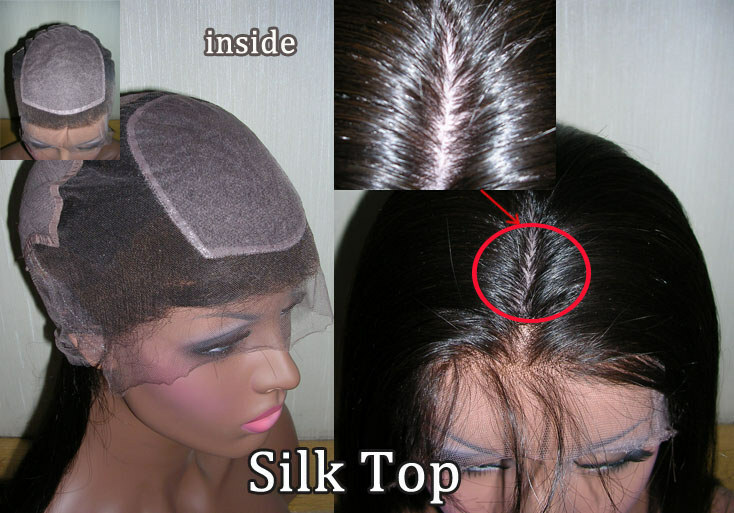 The Silk top material begins approximately 1/2 to 1 centimeter away from the hairline as shown in the picture. This means, there is 1/2 to 1 centimeter of Swiss lace before the silk top begins. 1. 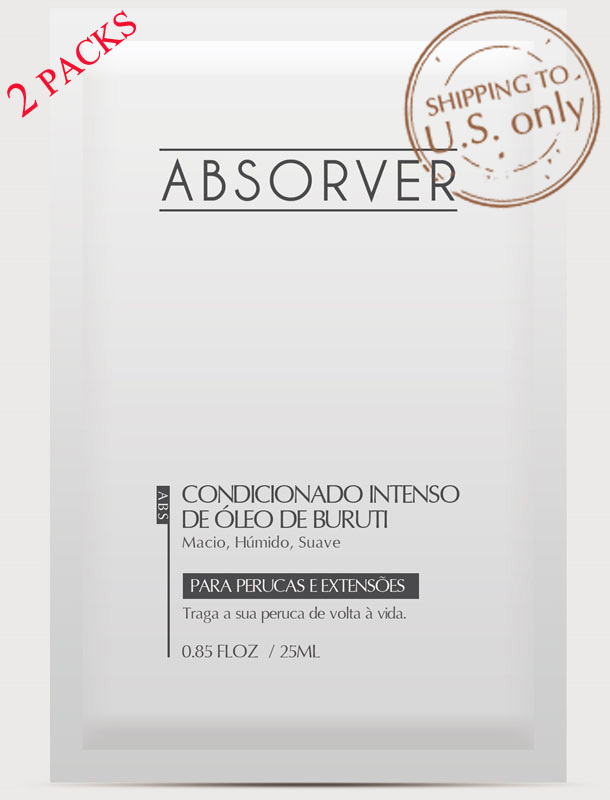 Polymer film agent perfectly recreates the protective membrance environment created by the human scalp, allowing your wig to "grow on your scalp" and continue to nourish it. The protective membrance can protect your hair from damaging by dust and uv rays and the life of wigs can be extended therefore. 2. The Buriti oil is added to thoroughly moisturize your wig from roots to ends and keep your hair in the best condition at all times. 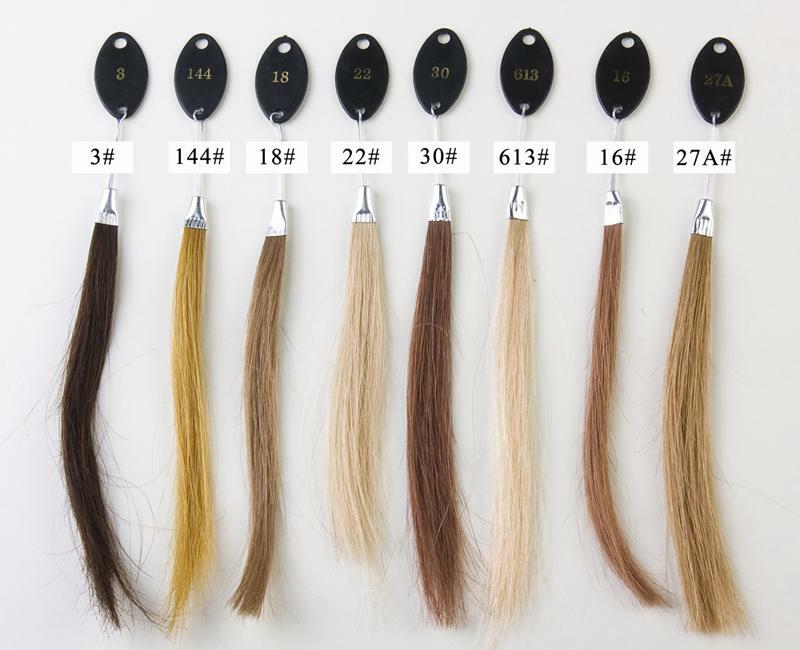 Massage into wet hair extensions, working from roots to ends. Leave in for 5-10 minutes and rinse thoroughly. SZIE: 0.85 FLOZ / 25ML. Import duties, taxes and charges are not included in the item price or shipping charges. Your order may be subject to import duties and taxes, which are levied once a shipment reaches your country; we have no control over such charges and cannot determine what they may be. Customs policies vary from country to country, so you should contact your local customs office for further information regarding any taxes or duties for which you would be liable. Each package goes with FREE Lace Cap & Ear Tape! Choose a ranking for this item.1 star is the worst and 5 stars is the best. All stock order information can be freely changed and cancelled within 24 hours;Once beyond that time,some handling fee will be charged. All custom order can change detail information and be cancelled freely within 48 hours once placing the custom order. 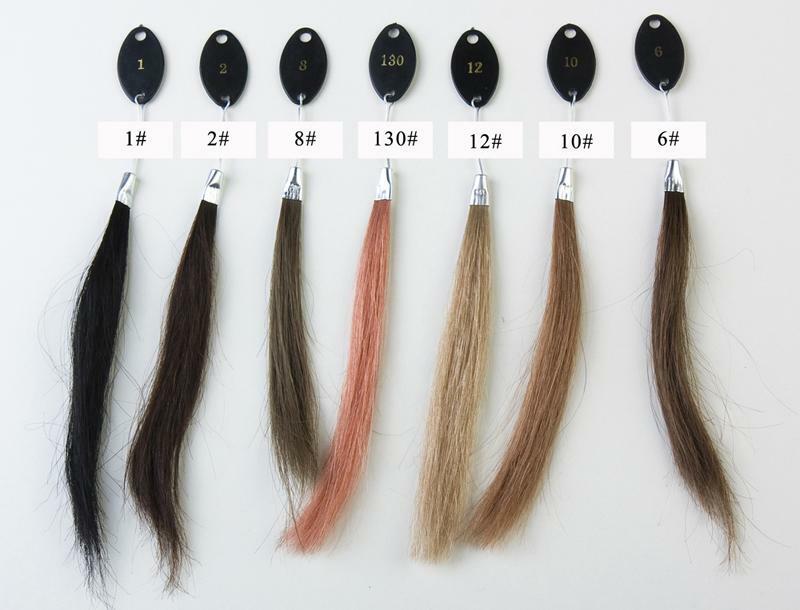 A 10% handling fee will be deducted off the total for the change or cancellation of custom wigs after 48 hours. 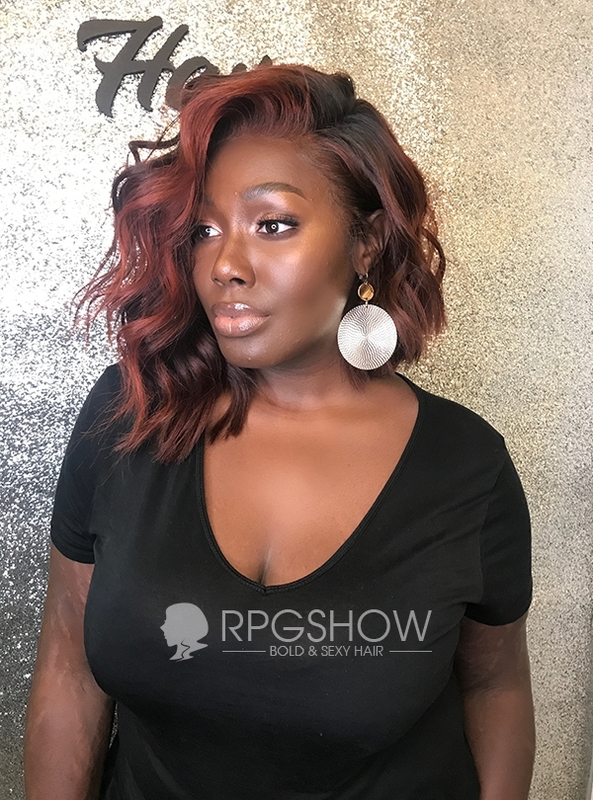 The goal at RPGShow is creating high-quality full lace human wigs. 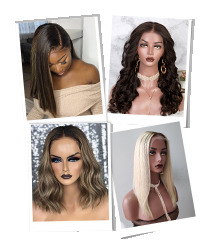 We understand that sometimes a wig may not be suitable for a customer, or a mistake is made while ordering, which is why we provide a comprehensive and fair exchange and return policy. 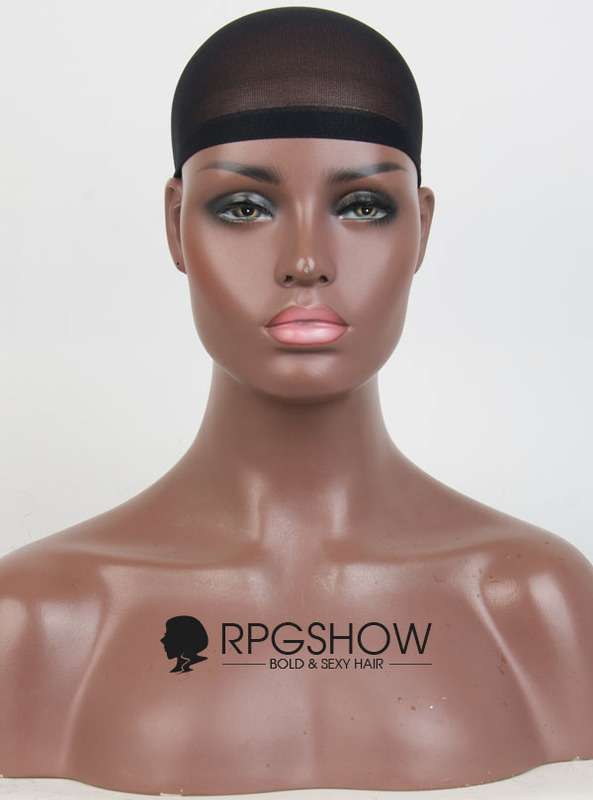 We are more than happy to accommodate exchanges and returns of lace wigs that have not been cut, tampered or altered. 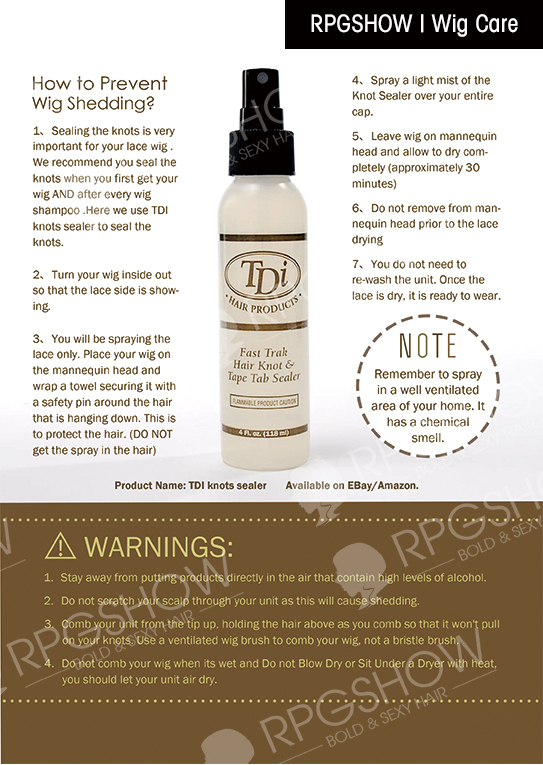 Since human hair wigs are a hygienic hair product. We take matters of hygiene and public safety seriously, due to this we do not allow used items to be returned for the safety of all of our clients. Please ensure the first contact within 7 working days once received. 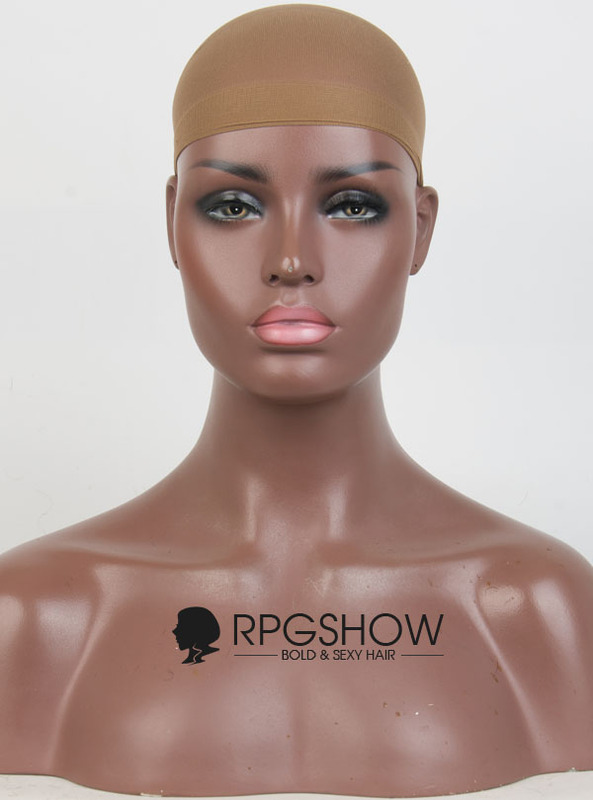 Custom wigs will be charged for the marking of this merchandise if they want to return this wig , please contact customer service for more details. We only provide one -time complimentary exchange service, a $30 restocking and handling fee will be charged for the second exchange. 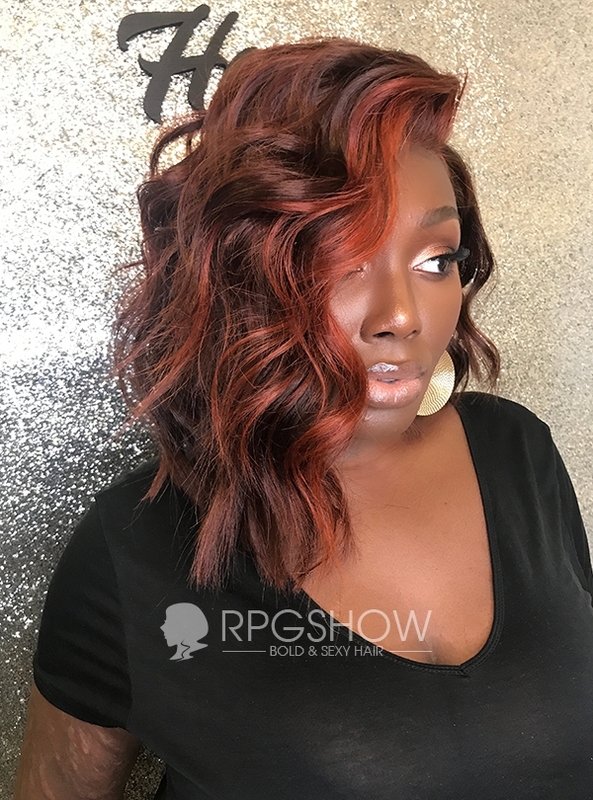 Clearance wigs are not eligible for return or exchange. 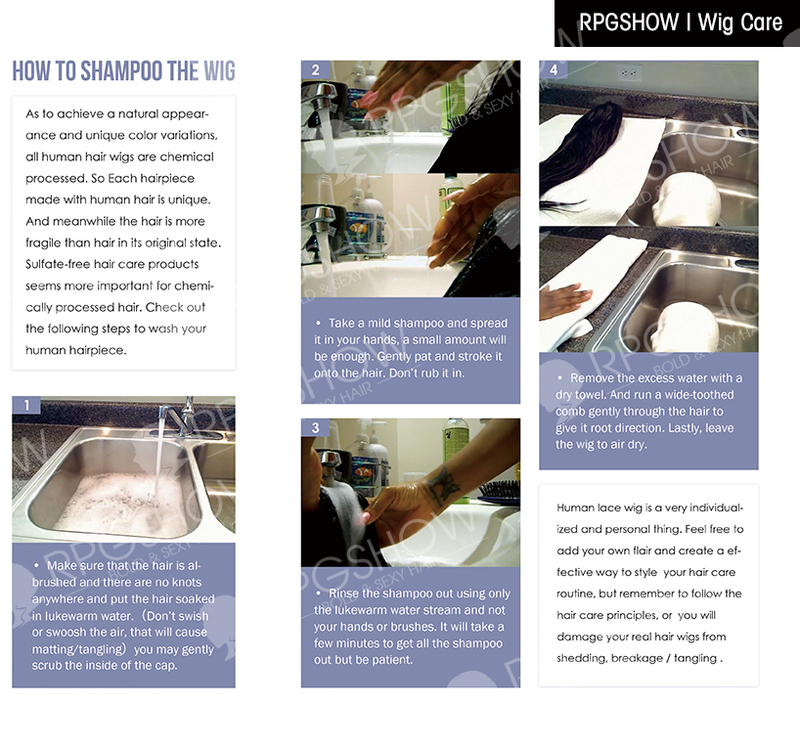 Please contact our RPGshow service representatives within 7 days of receipt of your wig via email. 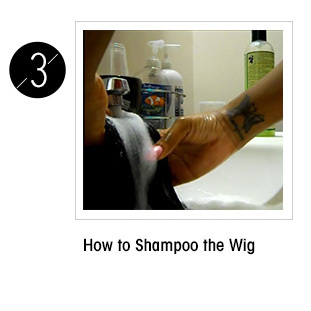 Please indicate the reason or reasons you want to exchange or return your wig, please attach any applicable pictures. Our customer service representatives will process your return/exchange request within 1-2 business days. 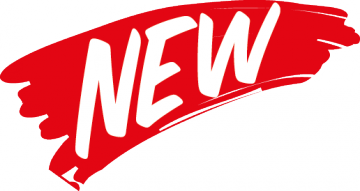 (except for holidays and vacations) After the return/exchange request has been authorized, our customer service will send you a Return &Exchange address to send your unit to. Please ship wig back to the address we provide you, please include the order number. You're also responsible for the return shipping charge, which is about $8-$12 for U.S. customers. *We DO NOT accept the return packages without our Return Authorization. *We DO NOT accept the return packages by freight collect. For customers outside of the US, we suggest you ship your package by postal express, which will be a little cheaper than FedEx, Ups, DHL and etc. Please do email us the tracking number to [email protected] after you have shipped your package. Our customers can enjoy a one -time complimentary repair service for their unit within three months of purchase(except some man-made serious damage). 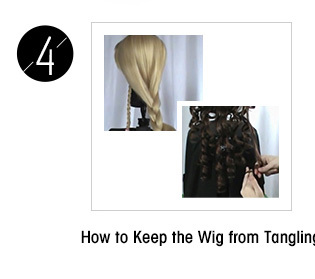 If you wish to have your wig repaired after 3 months, you will be charged a fee based on the repair that needs to be done. Please contact our customer service team for more details. 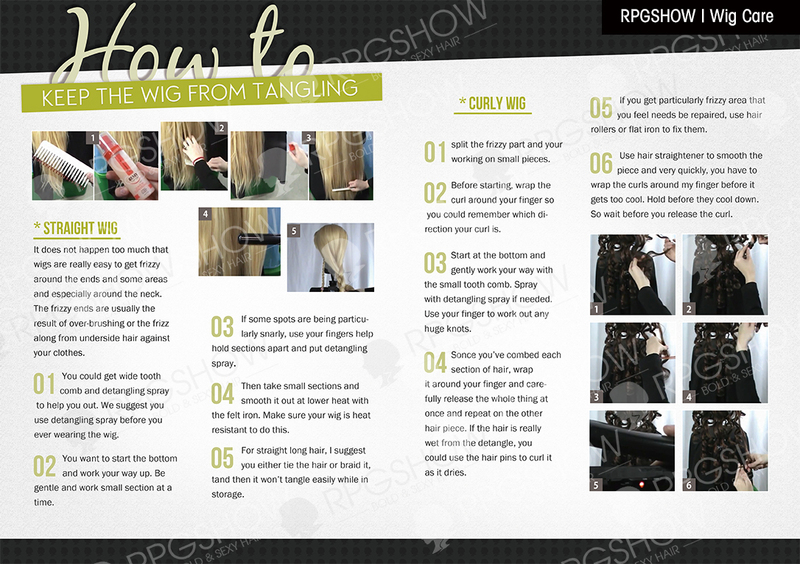 Please contact our customer service before returning wigs because we need to make sure whether it can be repaired. You are also responsible for the return shipping charge which is about $8-$12 for U.S. customers. We are the sole owners of the information collected on this site. We only have access to/collect information (such as name; address; phone number; e-mail address; credit card number; gender; language preference; and merchandise category preferences) that you voluntarily give us via email or other direct contact from you. We will not sell or rent this information to anyone. 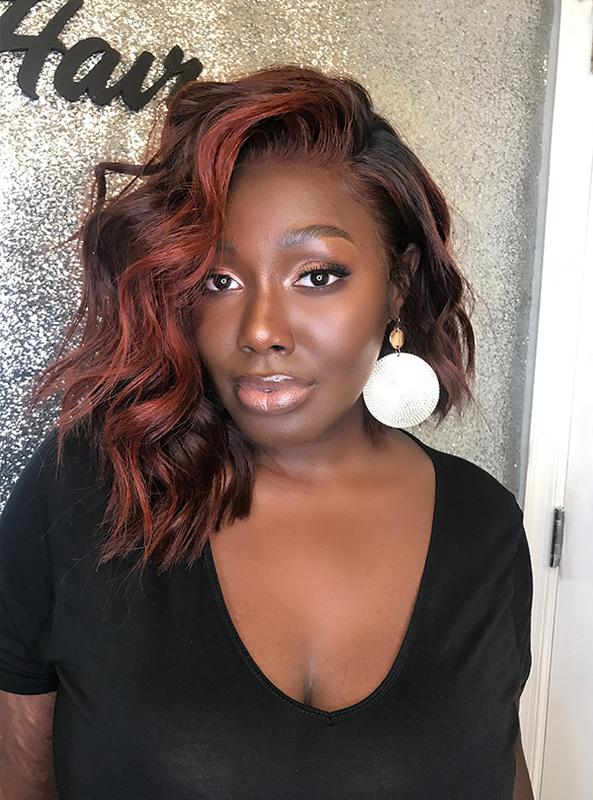 ARRIVALS, HAIR TIPS & TUTORIAL. 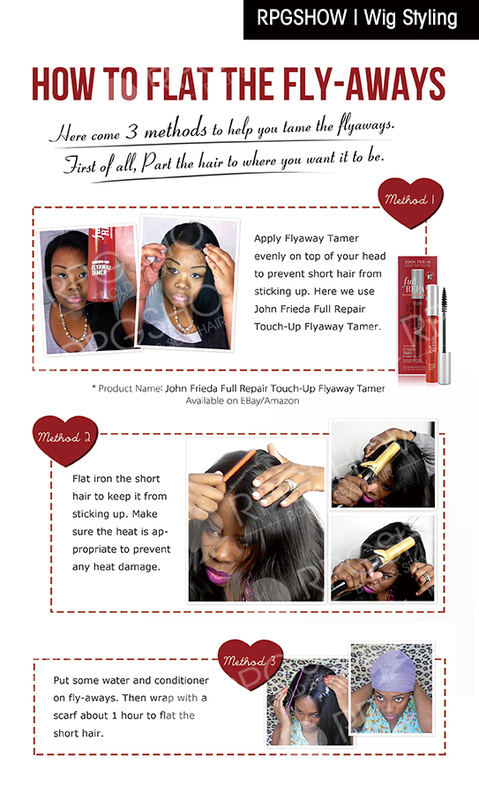 SIGN UP FOR SPECIAL PROMOTIONS, NEW ARRIVALS, HAIR TIPS & TUTORIAL. TM and Copyright © 2018 RPGSHOW Inc.